On the surface, Iraqi-born Azzam Abdullah is nothing more than the unremarkable head of accounting for what is, by all appearances, an innocuous global conglomerate. What's not so innocuous is the fact that Sun Corp is one of the biggest terrorism financiers in the world. After years of informing on Sun Corp's secret deals to the CIA, an unfortunate confluence of events brings Azzam's covert treachery to light. When Azzam is forced to flee London for America, Sun Corp's ruthless CEO decides to use a woman from Azzam's past to flush him out. In a furious race against a heartless zealot's deadline, Azzam is forced to decide between the life of one innocent woman and the safety of millions. Ms. Mitchell has a phenomenal skill for writing a thriller. 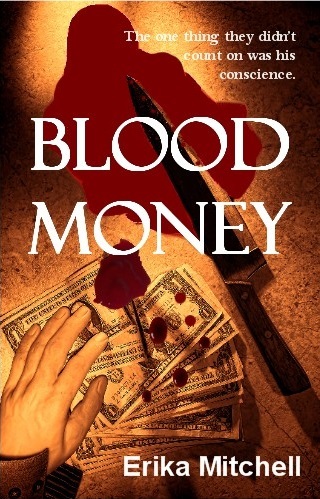 Blood Money was a “page-turner” or as much as one could be on the Kindle. The way she moves from character to character throughout the story keeps the suspense at a high level. She also provides little bits of insight into each character and what motivates them to do what they do. She keeps up this relentless game of show and tell until nearly the final pages of the book when it all falls into place. The characters are very three dimensional. Azzam is almost tragic in the way he risked his life every day for years in order to betray someone that he once viewed as a father. The ruthlessness and inhumanity of these criminals is chilling. It seriously brought to mind the callous and evil way the 9/11 terror attacks were orchestrated. And the way in which the terrorists covertly carry out their activities is horrific. The entire set up of a company that funnels money around the world to fund terrorism is probably not far off from reality. I’m not sure if this was the intent, but through this book, Ms. Mitchell portrays an individual of Muslim faith that is admirable, that goes against type and puts the little nugget of information in the reader’s head that not all Muslims are hostile toward those who are not of their faith. I appreciate her format for a thriller, just enough information to keep it interesting, but not enough for the reader to unravel the entire story until the final pages. Also, I appreciate the portrayal of Azzam, and I do believe that there are individuals out there who make the same sacrifices he made in order to protect innocent lives. I give Blood Money a rating of 3.5 stars. I have no other interest in this topic other than it vaguely relates to current events, and Ms. Mitchell managed to keep my attention and keep me turning the pages. Overall, a great read that turns the reader’s preconceived notions of terrorism on its head. Erika, a product of the 80′s, was born in California and spent the majority of her childhood in Orange County. After spending her high school years as an avowed band geek in the pacific Northwest, she went to college to obtain a degree she had no intention of actually using. 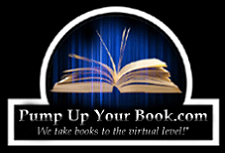 Early 20′s job-hopping brought her to blogging, and blogging brought her to writing. 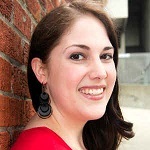 Erika enjoys writing thrillers because she thinks guns, spies, and chase scenes are entertaining. She lives in the Seattle area with her husband and their two adorable children. 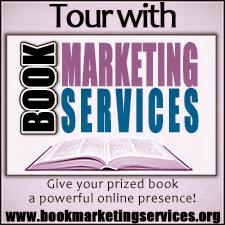 Find out more about Erika at her website, connect with her on Facebook, and follow her on Twitter. Thank you for your kind review, Amanda! I'm so glad you enjoyed reading my book! I tend to read page-turners like this when I'm on vacation - I'll be sure to pack this one for one of my summer trips!